The dangers of “coddling” a child who lives with serious mental illness. Five ways to be supportive instead. My biggest mistake was trying to fix everything for him. He never learned how to do it on his own. This is what a mother of an adult son who lives with serious anxiety and depression now says. From an early age, Jonathan* seemed more sensitive than other kids. During adolescent and teen years he showed symptoms of anxiety and depression. His mother tried to resolve issues for him because mothers want to make things better. But in doing so, she’d give him the solution rather than allow him to make his own way through problems. She did the heavy lifting to get him out of his darkness. She’d say, “Let’s go for a walk.” Or, “How about I take you somewhere.” “Maybe we should watch a movie.” In other cases, she’d shield him from potentially difficult situations. She tried to rescue him. “That was my mistake,” she now admits. … finding the fine line between being protective and supportive versus coddling for an overly sensitive or atypical child can be shifty. Protecting a child from physical harm and nurturing through difficult emotional benchmarks are givens in a mother’s job description. But finding the fine line between being protective and supportive versus coddling for an overly sensitive or atypical child can be shifty. 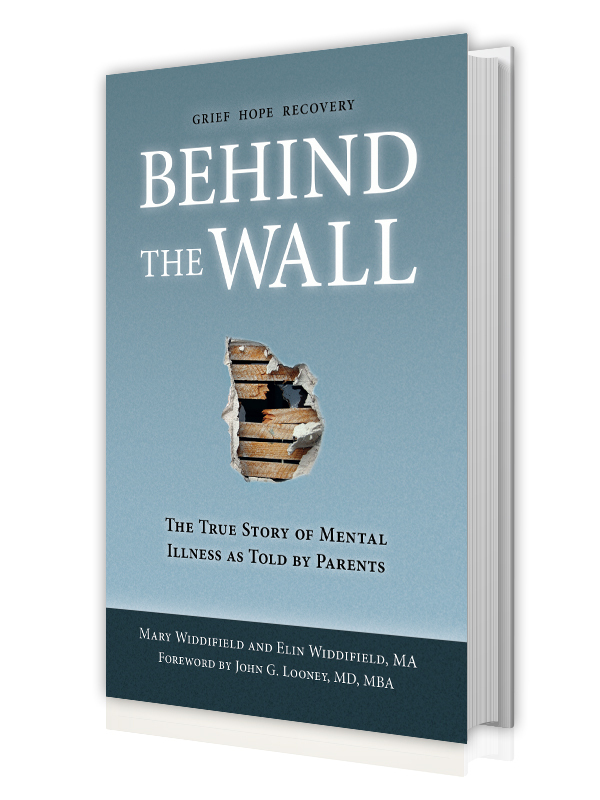 Parents we interviewed for Behind the Wall described atypical children who almost always had real limitations in social and school settings caused by anxiety or over-sensitivity. Sadly, it is not uncommon for a spouse or the child’s other parent to disagree about where the line of competency exists, creating friction in the home and between family members resentful of “special treatment”. Disagreement between parents about a child’s competency can have devastating consequences. Expectations that are too high can be overwhelming and unduly stressful. Low expectations send the message that parents lack confidence in their child. An awareness that parents are disputing one’s competence can also create guilt and self-esteem issues. Madeline Levine, psychologist and author of The Price of Privilege and Teach Your Children Well advises, “Never do for a child what he can do for himself”. This includes navigating on one’s own through difficult emotional territory with support from parents. A parents’ job is to prepare a child to live successfully in the world. Experience is truly the best teacher, and parents are uniquely qualified to provide such opportunities for trying new physical, mental, and emotional challenges. Coddling, by definition, prevents experience and important failures from which one learns. Being supportive means presenting a child with choices and allowing him to gracefully fail and succeed at his own pace along the path he chooses. For a person who lives with mental illness, though, the line of competency can shift day-to-day, sometimes hour-to-hour depending on the person’s current state of recovery. Sometimes, that line moves backwards. Be honest. Being honest with a loved one about her mental illness and her current state of recovery is the crucial first step toward her recovery. Being well informed by credible sources about the diagnosis and seeking evidence based treatments are necessary for recovery. Ultimately, a person cannot reach recovery without moving toward it on his own volition, which may require professional motivational help. Managing an illness successfully requires knowing facts. Shielding facts in an effort to protect another from the stigma of mental illness only serves to obfuscate the path to recovery. Give your child responsibilities. Everyone needs responsibilities. Having a goal each day fosters success over time, even if on some days the goal cannot be reached. As one Behind the Wall parent says, even though her son was not yet able to live on his own, he wasn’t broken; he could still clean his dishes. It just may take a little longer for him to remember to do it. As Dan says of expectations for his daughter who lives with schizophrenia, she is responsible for living the best way she can. All of us owe ourselves the self-respect to work every day toward learning better management of one’s own health; for a person living with mental illness it is certainly more challenging than most and often means taking medications and recognizing when treatments are not working. A person may do better one day than others, and may even fail, but everyone has the responsibility to try again. And loved ones must provide support everyday without judgment or criticism. Teach strategies rather than provide solutions. Keep an ongoing dialogue. A person living with a brain disorder may not always be capable of rational or logical thinking. Sometimes, a person may believe that loved ones or even non-existent people are trying to inflict harm. There is no amount of rational talking that can convince a person who is experiencing psychosis otherwise. But that doesn’t mean a parent or trusted loved one shouldn’t keep trying to show—by asking questions, for example—how to logically work through paranoid or disjointed reasoning. When her son is experiencing psychosis, Bianca points out behaviors and symptoms that indicate irrational thinking, and helps him to see he is not well. When doing well, she describes the behaviors that reflect failing mental health. She will tell him, “When you were in the shower for six hours, that was not healthy.” She will ask him, “When you’re not doing well, what are some things you can do?” A constant dialogue about recognizing symptoms of one’s worsening illness may be helpful to a person who is in the long and difficult process of learning to manage his own illness. Bianca encourages her son to take a daily inventory of symptoms and think about what has worked for him in the past and what he can do in the future. More than once, Bianca’s son checked himself into the hospital. Provide an escape plan for potentially stressful situations instead of not trying at all. Along the lines of teaching strategies, avoiding any situations that may have potential for stress can limit an individual’s engagement with community and chances to develop new skills. But stressful situations without an escape strategy can have devastating consequences for a person living with mental illness. Sometimes, social events are unavoidable, or an individual desires to try a new experience. Discussing an escape plan in advance empowers an individual with agency to determine when a situation becomes overwhelming and to act upon it. Planning ahead develops problem-solving skills for managing the ever-changing limitations of one’s mental illness. Behind the Wall father, Dan, encouraged his daughter to pursue a demanding education while emphasizing the always-available option to drop a class should she begin to feel overwhelmed. Bianca, a Behind the Wall mother whose son lives with schizophrenia, prepared her son in advance of attending a wedding. If the crowd became too much for him, she explained, it was acceptable for him to go outside and take a walk or go home. Now, when they go out to dinner, he gets up and goes outside if he needs the escape and nobody is concerned, critical, or judgmental. Failures are memorable lessons, and with support from a team, a failure can be a safe learning experience. Welcome failures as opportunities to learn and never be judgmental. Perhaps the most difficult guideline to follow when parenting any child, but especially one who lives with persistent mental illness, is allowing for failure. A person with brain disorders frequently faces situations in which “failing” may pose lethal risk. Failure to manage one’s illness can lead to a psychotic episode, possibly resulting in self-harm or victimization. Assertive Community Treatment (ACT), an evidence-based treatment, provides people with mental illness a safe environment to try new life skills. Failures are memorable lessons, and with support from a team, a failure can be a safe learning experience. One example of ACT service is “supported employment” in which a person’s employer and case manager work in cooperation to increase the employee’s success. The case manager facilitates understanding between employer and employee, assists in working through obstacles and potential job challenges such as communication problems, stressful hours, or short-term memory deficits common for individuals with brain disorders. ACT provides similar support for college students managing communications with instructors and stressful course loads, for example. By providing well-trained advocates to teach and reinforce practical life skills and strategies, ACT decreases day-to-day logistical load for families who are hesitant to allow an adult child to fail. By the time Jonathan, whose mother admitted she had not allowed her son to fail, reached his early twenties, an age by which he could have begun to understand how to manage his illness, he continued to experience increasingly severe and unmanaged anxiety and depression. He was not progressing in life as he thought he should. He sought help from an uninformed practitioner who did not offer talk therapy but prescribed marijuana** for severe anxiety, which over time, compounded his issues. Though one of Jonathan’s parents is a physician, he refused to listen to advice from either of them. Fortunately, Jonathan finally recognized his anxiety and depression was debilitating and he had not acquired effective tools to manage his illness. He agreed to seek treatment from a doctor recommended by his parents and his life has been improving. The overwhelming consensus from mental health professionals is that marijuana is not helpful—and potentially dangerous—for people with mental illness. Using marijuana can directly worsen symptoms of anxiety, depression or schizophrenia through its actions on the brain. People who smoke marijuana are also less likely to actively participate in their treatment—missing more appointments and having more difficulty with medication-adherence—than people who abstain from using this drug. There is growing evidence that people with serious mental illness, including depression and psychosis, are more likely to use cannabis or have used it for long periods of time in the past. Regular use of the drug has appeared to double the risk of developing a psychotic episode or long-term schizophrenia. However, does cannabis cause depression and schizophrenia or do people with these disorders use it as a medication? Over the past few years, research has strongly suggested that there is a clear link between early cannabis use and later mental health problems in those with a genetic vulnerability – and that there is a particular issue with the use of cannabis by adolescents. Behind many doors and walls. The stories are heartbreaking. And they must be told. Parents want to help a child or loved one who is ill. This is a given. Expected. And yet, in helping a person who has serious mental illness, there is an obstacle at every turn. As one of our Behind the Wall parents says about advocating for her son, “I wasn’t out to harm him, but because of all the laws, I wasn’t allowed to help him.” Most innervating are the restrictive laws—different in each state—for obtaining involuntary commitment for psychiatric treatment for patients over eighteen. 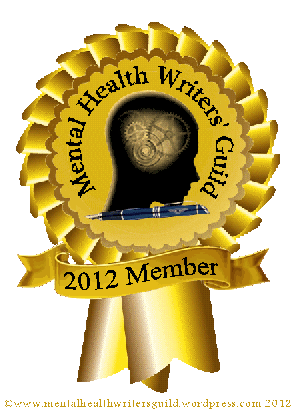 We ask the question: what is the ethical treatment of people who don’t know they have mental illness? 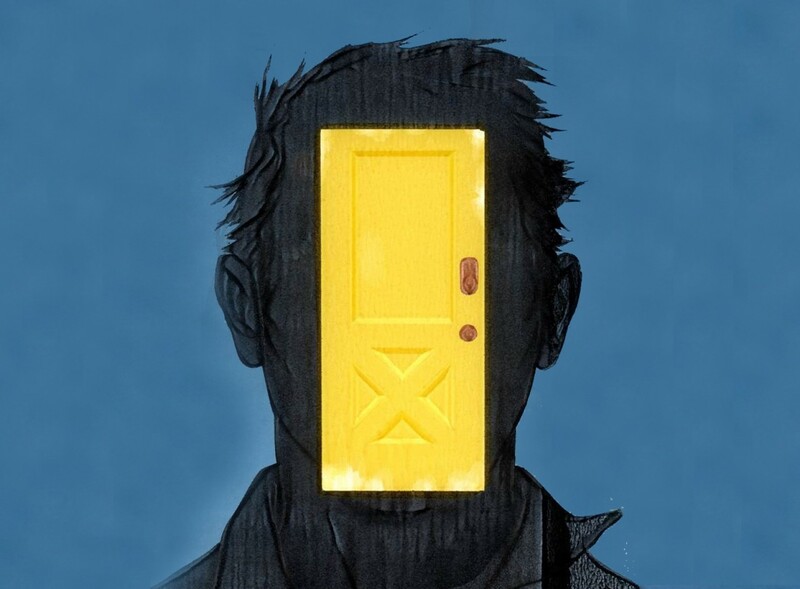 The heartbreaking story in the Washington Post on June 28th “Behind the yellow door, a man’s mental illness worsens, by Stephanie McCrummen” is the story of many families—about eighteen million in the US. It illustrates the common journey and we recommend you give it a read. Pass it around. Then talk to your US and State Representatives about restructuring more humane laws.